Meditation is a popular subject in this day and age, you can’t seem to open any magazine without some celebrity or health guru eulogising about how meditation changed their life! But what exactly is meditation and why should you do it? Simply put, meditation is a chance to spend some quality quiet time with yourself. The spiritual part of you takes over from your noisy, busy conscious mind for a short time, to take you to a more relaxed place within yourself where you can contemplate, rest and rejuvenate. It’s a wonderful exercise that allows your mind relax, lets all your worries and cares drop away and gives you a few, welcome moments of calm in your busy life. But it’s more than simply some time out; meditation does a lot more than just give your brain a break. It’s a powerful, and underused practise that we can all learn to do. Here are Psychic Ether’s top 5 reasons why meditation rocks! 1. 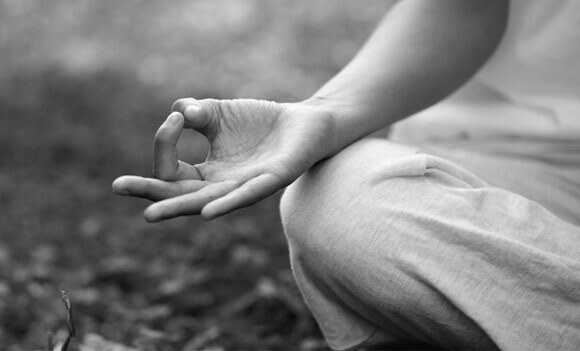 Regular meditation may actually help you to stay in better physical shape. It’s said that meditation helps your whole body. It’s reputed to lower blood pressure, calm an anxious mind, speed up recovery times from illness and injury and generally boost your physical wellbeing. Some even say it will make you live longer. 2. Meditation helps to focus the mind. This may sound like a no-brainer (if you’ll pardon the pun), but a short meditation will sharpen your mind, clear away any distracting thoughts and allow you to be crystal clear, focussed and ready to go. This is brilliant before an exam, at the beginning of your work day or any time you need that extra focus and clarity. I used to always meditate before netball matches, and boy did it improve my focus in the game! 3. It makes you feel happy. Meditation is incredibly calming, as you will have guessed. But as a spiritual practise, it goes further than just making you rest and relax. Meditation can actually help you to tap into your inner joy and peace. Meditating for just 15 minutes a day can make you feel happier, more positive and even more motivated to live the life of your dreams. It’s a wonderful mood booster if you feel down. 4. It can help you to discover your Psychic abilities. Meditation has many different uses, and psychic development is just one of them. In fact, most psychics and mediums see meditation as being just as necessary to them as exercising is to an athlete. It helps to tune up and tone up your psychic muscles, allows you to learn new psychic skills and work more closely with your spirit guides and angels, when done for this purpose. Yes, you did just read that. Meditation can improve your life both in and outside of the bedroom! As we already mentioned, it can help your overall health and wellbeing which may give you a higher libido, but it also enhances your psychic and empathic abilities, which can make your extra-curricular activities more intense, with a deeper spiritual connection. Definitely worth a go if you ask me! Categories: General, Health & Fitness, Lifestyle.